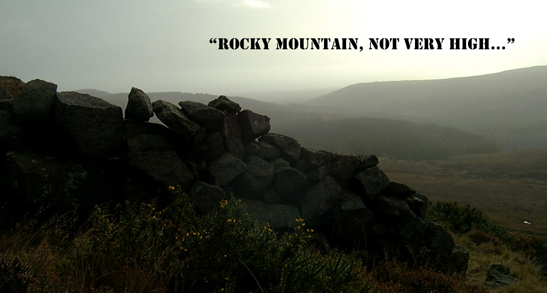 Chimney Rock Mountain sits proudly above the Irish Sea in the north-eastern Mournes. Evidence of extensive mining exists along the side of the mountain at places like Carr’s Face, and the route up from the Bloody Bridge follows a mining track for a lot of its length. Five American airmen died when their B26 Marauder crashed on the mountain during training in 1944. Wreckage remains on the hill, as well as a memorial plaque and cross at J362 255 A. Chimney Rock offers amazing views over the Mournes, particularly nearby Donard and across the Annalong Valley to Slieve Beg, Cove Lamagan and Slieve Binnian. Picture from gerrym : the perfect spot? Climbed 29.3.04 parking at Bloody Bridge (388269 C) and following path along Bloody Bridge River. This makes a welcome change to following the Glen River if you haven't tried it before. A diversion was provided by a group of young people, presumably from the nearby outdoor pursuits centre, taking the plunge into one of the rock pools in the river. When the quarry track becomes visible on the opposite bank (377268 D) cross the river and follow it. 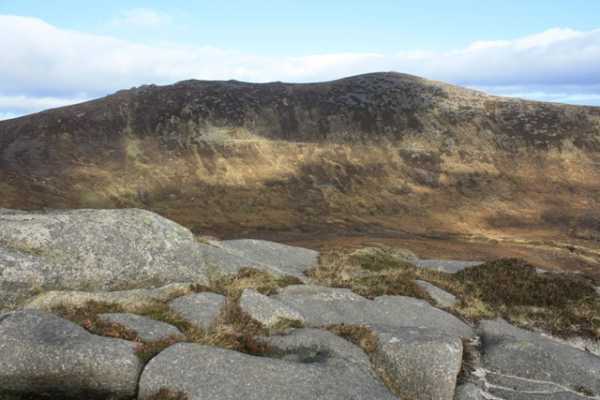 Turn off left and climb the slopes of Slievenagarragh (450m) on firm ground. 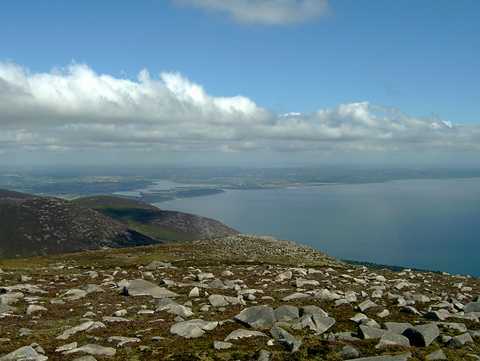 An hour after starting reached summmit cairn with nice views out to sea. Chimney Rock looms ahead to the west and a further half hour reaches the summit ridge. 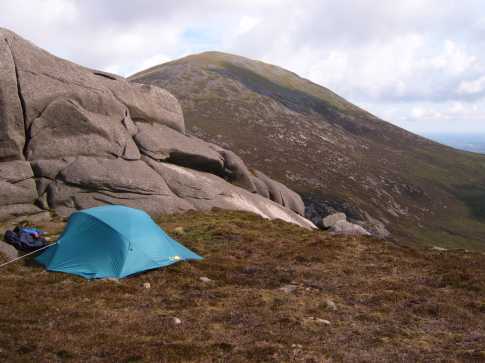 Aim for the rocky tors to the north where can spend a little time exploring with great views across to Binnian and Lamagan and to Donard. Head for the summit cairn to the south east crossing a couple of little rocky mini summits on the way. There is a delightful stone shelter just below the summit cairn. Will need to backtrack north again and will have to decide on which of the many possible options to take to continue - I dropped down to the Mourne Wall and followed it south to climb Rocky Mountain. Returned along the Bloody Bridge Path to the carpark. Mountains are like women: wild, dramatic; thin and bitter or wide and warm - but all beautiful. (Yes yes … thin and bitter too…). “Pretty” is best - and the prettiest girl in the class is Chimney Rock Mountain: little, curvaceous, undemanding with some delightful nooks and crannies. Sunday I trailed up the entirely Bloody Bridge track. Cloud low; wind aggressive. Hold seawards of the wall to caress Chimney Rock’s ankle. Weave through raised bog into sandy tracks and a stroll to 3 small tops - the last, bearing the strangely melancholy construction that gives her her name. A glimpse of glen and of sea. Magical.